Don't proceed with the installation if you're not sure about your set up. Safety first! It's always best to consult a licensed electrician to complete the installation if you have any doubt about the process. Improper connections may cause personal injury or equipment damage. You can also reach out to us with images of your switch boxes. We'll need a straight shot of the contents of each box with all switches and wires pulled out as much as possible just like in the image below (we call it the Golden Sample). This angle will let our technicians identify the set up and send you step-by-step wiring instructions. The key is for us to be able to trace EACH wire in the box from every switch (even the ones unrelated to the set-up) to where it exits the switch box. It's also important that the common (usually black screw) is visible for each 3-way switch in the set-up. 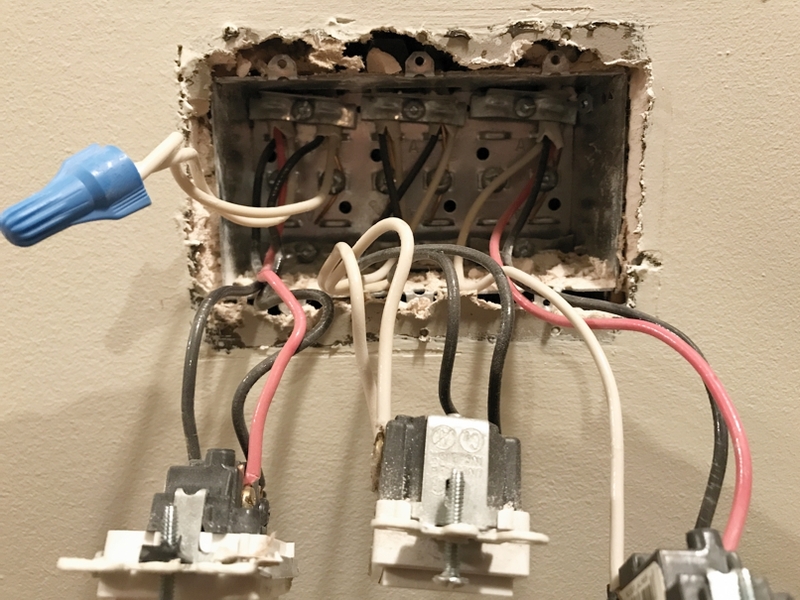 For 4-way and 5-ways installations, it's especially helpful to send us images just like the one below of your working 4-way and 5-way, showing how your existing "dumb" switches are wired successfully in that installation. By seeing the working set up, we can identify the wires and send custom instructions for your Zooz switch. Images showing wires disconnected from the switches or connections to the Zooz switch instead of the original set-up will make it difficult for us to identify the wires.